These words might be connected to what they learned in school or on television... but dissecting and connecting makes for a fun new way to build vocabulary. I have always had a hard time with reading comprehension. I often get lost and it usually happens when I come across a word that I don't know. I am not satisfied with knowing what it "sort of means" but then stopping to look it up disturbs the flow. Thus I often just keep going while not understanding and soon, I realize that I really just don't get what I've read. This problem has plagued me all of my life but in high school, I signed up for a class called "Word Power." This class should have been called "Word Appreciation" because I really ended up liking words and it naturally allowed me to build my vocabulary. One day, I remembered my Word Power class and proceeded to look for something similar for kids. I was starting to see that my kid was having the same problems that I did in reading. So why should he wait until 12th grade to start liking words like his mom did? I looked everywhere but there wasn't any mainstream retailer selling a product that had a list of word roots. Nothing. Did I have to make my own? That would be ridiculous! 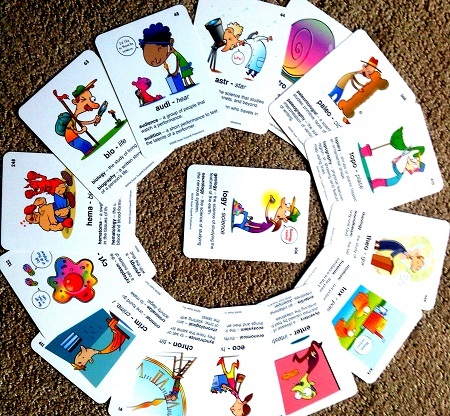 Foment the love of language with these fun cards. 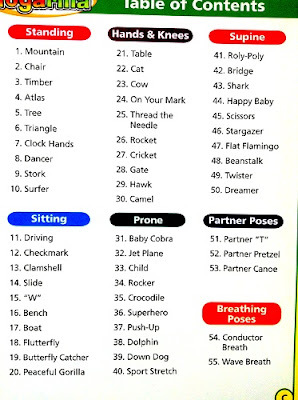 I am not sure if all of these combinations are real words but the fun part is finding out! Luckily, this led me back to an old fave: Super Duper Publications. This is a great online store. 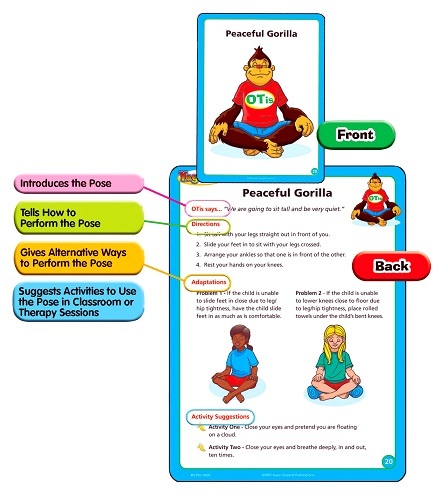 They are most known for having zillions of speech and language therapy tools and I have used them in the past because I find them parent-friendly ie. you don't have to be a speech therapist. Ooh, and guess what? Their free ship minimum is only $20 of which I'm so so so grateful. But I digress.... get back to the review! INTRODUCING..... my grandest discovery of 2013! Oh gee, it's not a toy.. sorry. But it can pass as a game for sure. 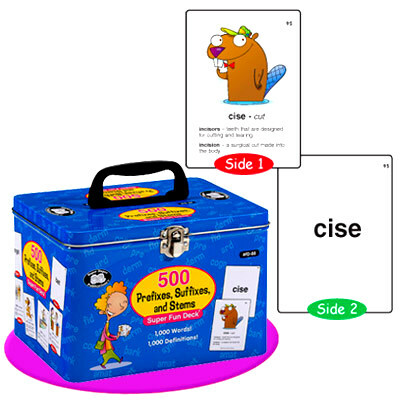 To me, it is a treasure chest that holds 500 high quality cards each featuring a stem (root word), suffix, or prefix. Each card has an illustration along with a couple of examples. If your kid loves words AND/OR has trouble understanding meaning through the context then do what I did and get yourself this box of linguistic gold. I feel like we'll be using these for a long time... perhaps all the way to high school! And you know what? I'm not the only admirer. They all fit in this neat box. Super Duper makes great tin boxes. This photo shows you what the back of the card looks like. So I guess you can test yourself! Susan Schwartz, a veteran learning specialist at Friends Seminary, loved the cards. "It's a lot of fun," she said. She had used them with her students in 3rd and 4th grade. They enjoyed learning the meaning, looking up words in the dictionary, and making connections. And that is exactly what happened with my son, a 3rd grader. I think he liked reading words that he had heard before and then learning the meanings of the stems. It's like he got to know the word a lot better and it is my very educated guess that knowing stems makes him more comfortable and confident when he reads. I honestly think that sometimes, these are the kids that have the most respect for words. They won't be satisfied until they know exactly what a word means. And if you know the core root of a word, you can't know it any better than that! But Susan is the expert and so I asked her why certain kids don't pick up word meanings through the context of a reading passage. Here is my theory on "word-building." 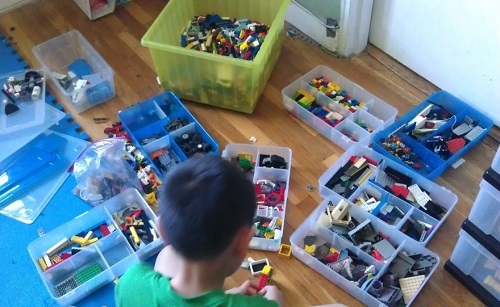 If your kid is a visual-spatial thinker, he may likely picture stomachs + intestine + o-"logy" in his head. 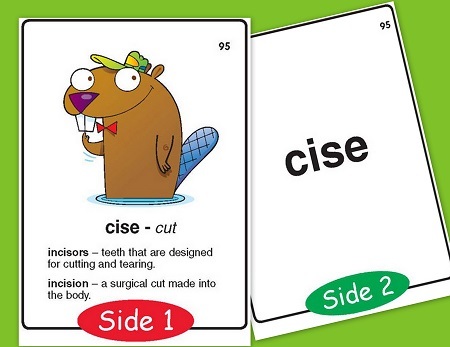 I have a feeling that when approaching multi-syllabic almost foreign-sounding words, these illustrations on the cards could have a lot of impact on a child. "Sometimes kids are slower to do the mechanics in terms of decoding," she said and she explained that my Super Fun Deck can help with that. (YIPPEE!) When you learn the meaning of a prefix, suffix, or stem, your mind may recall its meaning when you are reading an unfamiliar word and it can open up a sentence for them. Wow, I knew there was power in learning these word "parts!" Susan said, "It works in both cases, for decoding and reading comprehension." Susan also agreed that there are not many tools for kids to use in this area. She said she only could recall an SAT vocabulary book that had funny cartoon drawings. I too found only this book in Barnes and Nobles. 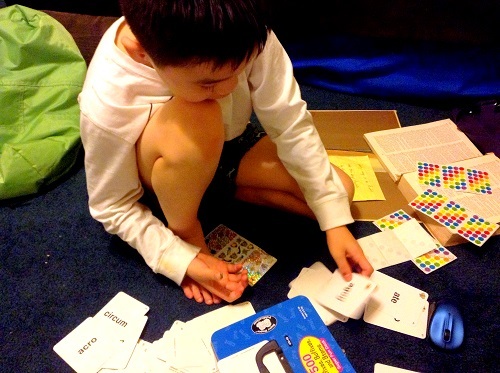 There were lots of SAT word cards but nothing for elementary students. I bought it but gave it to Number 3 who is now in high school. This set suggests a number of ways to play with them but I should confess that I've tried none. It's kind of like getting a set of blocks. Some people will only read the directions if they run out of ideas. We haven't run out of ideas yet. Thankfully, I need not look further unless another deck of 500 appears. Number 5's mom also approved saying that it could be helpful to the kids who are now all stressing over those darn tests! But don't buy these just for test prep! Even if they abolish the tests tomorrow, this Super Fun Deck would not decrease in value one bit. I think I really found something awesome here. The only part I wish was different is that it may have been great if they identified and separated the prefixes, suffixes, and stems. (I tried to do it myself with stickers but got tired after a while) If they were separated, I think it might be more easy to "build" a word (see gastroenterology above) . But like I said, I have seen very few products that are similar to this. Super Duper has always had awesome "Fun Decks" but this one is really trailblazing new methods to expanding vocabulary and dare I say "word appreciation" this way. This set of 55 is packed with fun suggestions, instructions, challenges and adaptation suggestions! 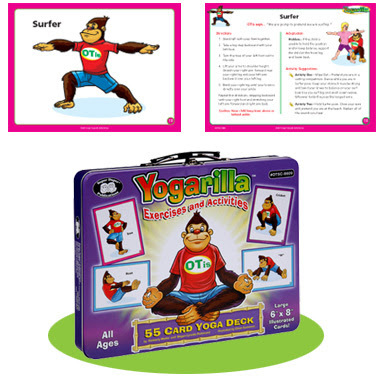 Speaking of trailblazing new ways of teaching kids, Super Duper also came out with their new Yogarilla yoga instruction cards. I am a lover of yoga. My favorite is Kundalini Yoga and I used to do it regularly about 20 pounds ago. Because I spend so much time with the kids and because I know yoga would be especially good for my guys, I have always wanted to do yoga with them. But wanting and doing are two different things. I have purchased DVDs and yoga instruction cards from other companies but honestly the most yoga I got out of them was from something for adults Ana Brett and Ravi Singh's Kundalini Yoga DVD and I think I know why. As a video, it is serene, there isn't much going on except for a person and a yoga mat. 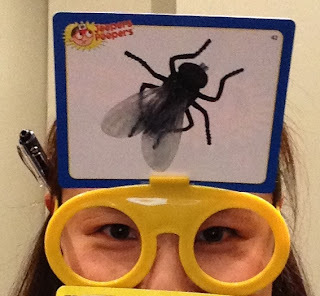 It's not distracting and they are teaching verbally and visually (and that is key). Perfect to do with Grams. The two-person positions are my kids' favorite. I have seen "family yoga" videos that make me dizzy. They change backgrounds mid-routine, the music is too stimulating, and the camera is moving so so much. My kids would get dizzy and just walk away. I also tried Yoga cards and they were nice but there were no verbal instructions/directions on the cards. Until I tried Yogarilla, I had no idea how important those instructions were. The words aren't for the kids by the way, I think they are more for me to read. And I totally need them because I've never really been successful with sharing my love for Yoga with them. I came to learn that it wasn't yoga that was the problem, the problem was with me. I wonder if this comes in an app? It would be so cool if each card gave instructions at the touch of a button. Yogarilla is like Teaching Yoga for Dummies in a way because they basically tell me what to say without turning my kids off. 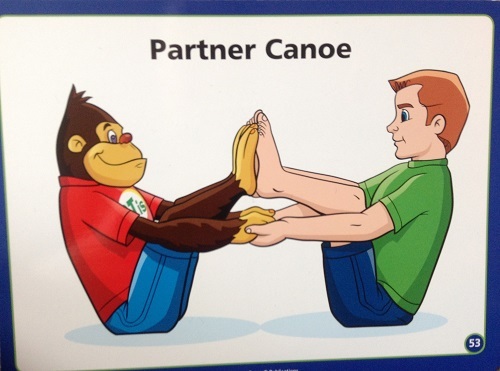 For example, I would read the card and say... "We're going to sit like a clamshell..." This is something I would have never thought to say, even if the card pose is labeled, "Clamshell." Occupational therapy experts like Mike Pfeiffer, Pediatric Occupational Therapist, and Owner/Director, Leaps and Bounds Pediatric Therapy validated this point for me. He said that most therapists do not learn how to instruct children this way when they finish school. "That is something that they gain with time," he said wisely. Wow, no wonder my kids didn't run away from me this time. Mike and the therapists that work for him at his center all enjoyed using these cards. 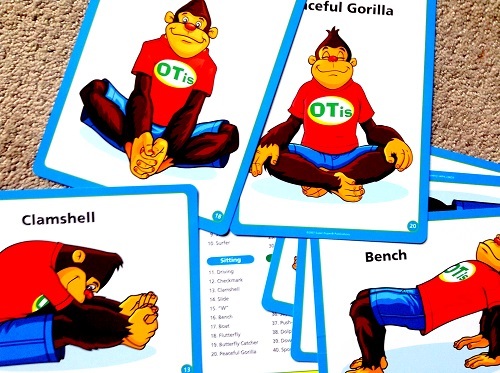 One of the therapists that is an actual yoga instructor was especially pleased because she thought these cards could possibly win over the older kids (and it did). She really knows her stuff because my nine year old gave me no problems when I asked him to start doing yoga with me. "The kids do like them," said Mike noting that it probably wouldn't have worked if it was a chimpanzee and not a gorilla. Gorillas look buff and tough and Yogarilla's OTis, (gorilla's name) looks like a friendly high school sports team captain. Oooooh, sitting ones.. for tired moms like me. I love how they are sectioned out like this. Aside from Yogarilla's cards, the benefits of yoga were re-confirmed after speaking with Mike. We talked a lot about core strength. Gosh, I do hear this term a lot. It's kind of starting to sound vague to me. Mike, whatever do you mean by core strength? "Core strength really means your trunk, from your neck down to your groin," Mike put it simply. I was so surprised. I was thinking more like the tummy area only. 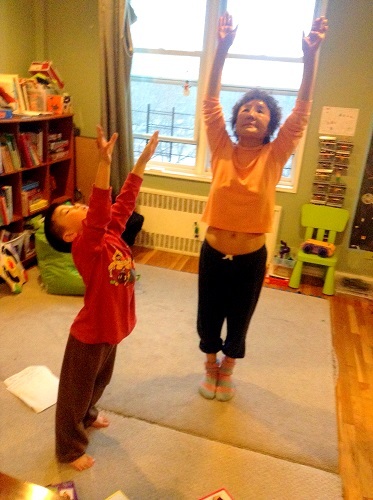 Mike continued with the importance of core strength, "Well, the child is sitting for six hours everyday in school, they need core strength just to maintain their seated posture." Those poor kids! That's right! So much sitting! I can get up whenever I want but they aren't even allowed to do that. And a lot of kids have low tone but it's hard to see that when some of them are hyperactive. I guess that is why some of these kids look "lazy." Darn, that is just awful isn't it? 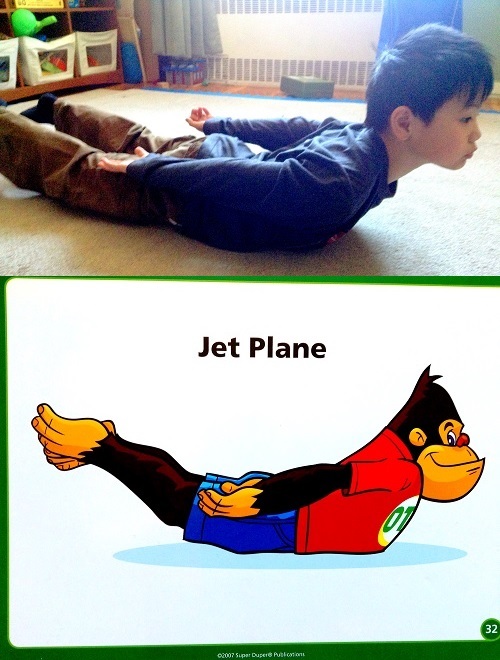 This set also suggested that these poses (seen here) can help with phonemic awareness. How interesting... I wonder how that is done. 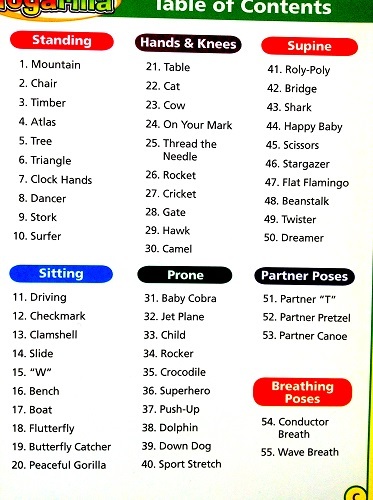 There are also poses categorized by connection to Howard Gardner's multiple intelligence theory. I'm so curious about that. Does this mean he doesn't need Yoga? And now here's your chance to win a $50 gift certificate to Super Duper! How cool is this? But before that check out this 15% coupon just for our readers!!!! Go to www.superduperinc.com and use CODE: KSBLOG157 It's good until MAY 11th! There are so many things to get. Here is the e-catalog if you like shopping that way. Overwhelmed by all the choices? Here are some things that interest me! Remember the free ship minimum is only $20. LOVE! Jeepers Peepers - (see photo left) something tells me that this game has more to offer than what is already out there. Dice Dude Combo - looks like you can do lots with these guys. 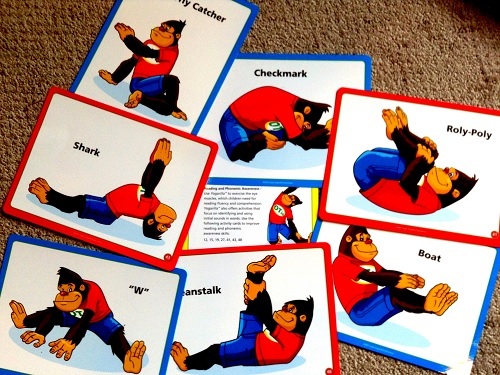 Webber Sign Language Cards - learn words kinesthetically? perhaps this is an off-label idea but still.... I'm curious. 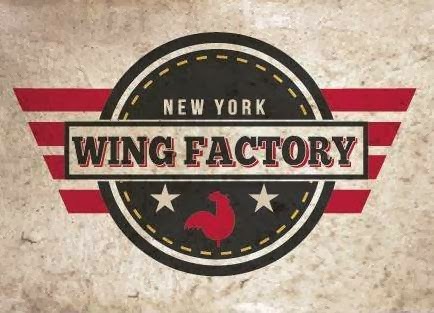 But do try your luck for the $50 GC - fill out the Rafflecopter form below! 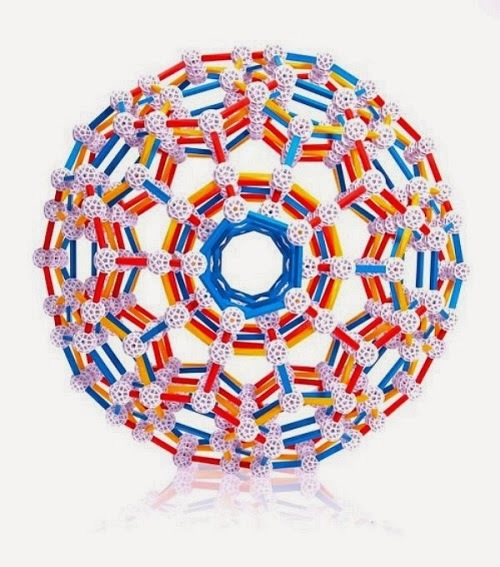 Want to get it on Amazon. I found some... Use Amazon links to support Toys are Tools but see if you can get a great deal while the coupon lasts! Disclosure: Toys are Tools was not compensated by the manufacturer for the publication of this review. 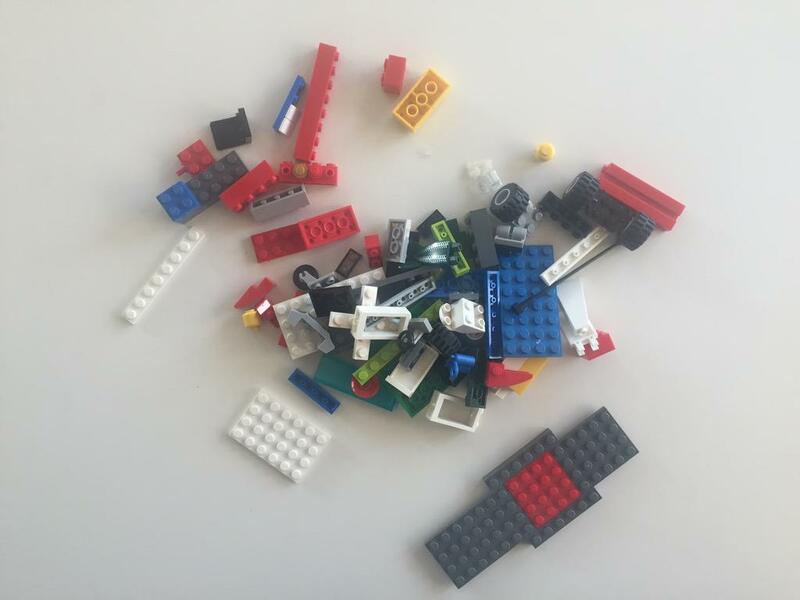 The reviewed items were provided to Toys are Tools and the quoted experts to facilitate a review. Reviews are never promised. The giveaway prize is being offered by the manufacturer. Inferencing quick take product would be great. 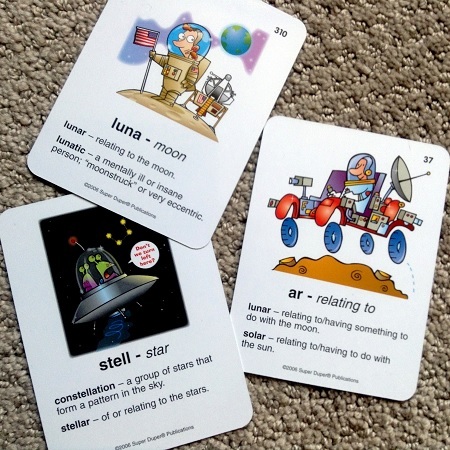 Core Curriculum Vocab Cards Fun Sheets. It looks like a fun activity.